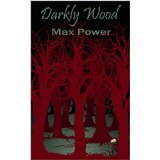 This is the story of Darkly Wood and the terror that goes on when an innocent enters the woods. The skill of the writer drags you into the woods and the horror develops slowly but surely. Daisy May is one such innocent. After the separation of her parents, she moves with her mother to Cranby and she can see the woods from her window. She also discovers a book about the woods by author J.S. Toner. Gradually she comes to know to the history of death and devastation that occurs in that evil place. I like the way that Daisy May’s venture into the woods and the book are intermingled. There are one or two questions left unanswered but this is a well told story where the main characters are well drawn and the description of places and events are good. There are a lot of subsidiary characters to remember and as I knew I’d write a review I wrote them down. The author has included some brilliant character names, such as Philagrea Mancuso. Although I did sort of guess what was going on throughout the book, the last bit was a surprise. Trying not to give spoilers here! This is not a genre I normally read but I certainly recommend it! The picture of the cover and the book are from Amazon.